Posted on January 28, 2019 at 10:08 am. Wakefield Seniors Isaiah Calfee and Jacek Zavora with Del. 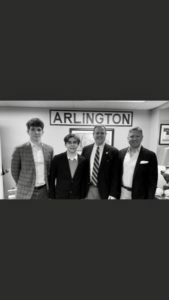 Patrick Hope and W&L teacher (and ABC weatherman) Ryan Miller lobbying at the State House in Richmond, to designate the European Honeybee as Virginia’s State Pollinator! 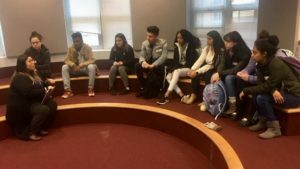 Wakefield Senior Project students meet with AP, Iliana Gonzales at the start of their internships at Claremont Immersion. 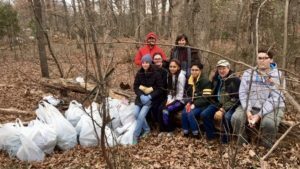 Wakefield Woods clean-up as part of an Environmental Science and Senior Project initiative to create an Outdoor Learning area at Wakefield.